Skoda is certainly a brand whose image is ever improving. The general public's awareness of the marque continues to increase, helped in a big part by the Yeti. It's a favourite among families and a car that's loved by those who own one. But in the UK the most popular model remains the Octavia - a car which single-handedly helped Skoda establish itself as a serious brand. This is now the third generation of the Octavia and like the last two, Skoda has designed it to offer that bit extra compared to a standard hatchback. First impressions are very positive. 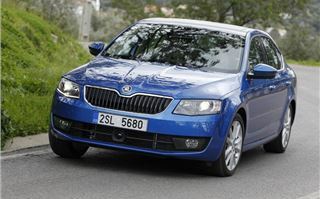 It has a sharper look than the outgoing Octavia and follows on from the smaller Rapid with the new Skoda family style. It's neat and tidy rather than bold but there are some nice details like the rear lights which look good when illuminated with a c-shaped tail light. It appears less bulky than the model it replaces but while it may look smaller it's actually bigger with a 10.8cm longer wheelbase. Don't be concerned if you're thinking it's now a saloon though. It may look like a conventional four-door but like the Rapid it's actually a hatchback with a big opening tailgate. 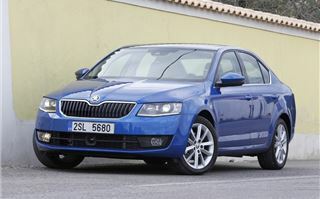 As with the previous Octavia it also has a huge boot – 590 litres to be exact which is more than a BMW 5 Series Touring. 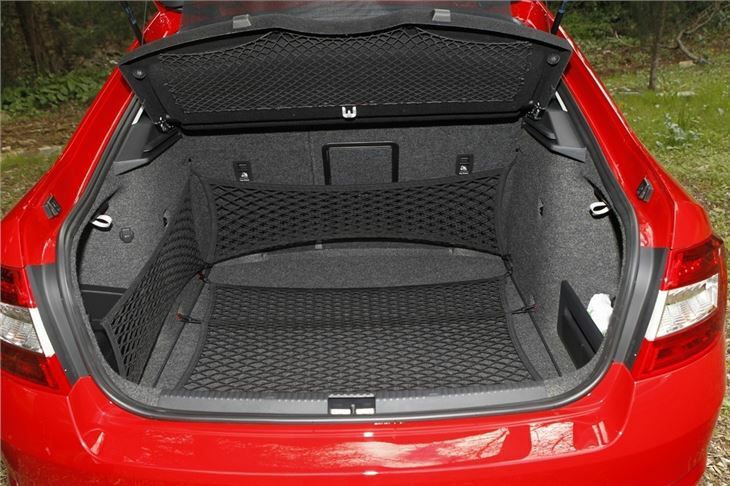 The longer wheelbase means better interior space which is especially noticeable in the back. There's considerably more legroom and even with a tall driver in front, it's still comfortable sat in the back with better headroom. 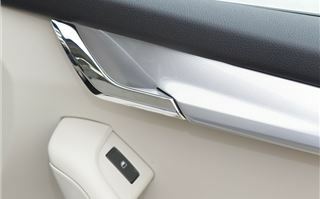 The comfortable seats help and getting in and out is easy thanks to wide opening doors. And it's inside where the real differences from the old Octavia are evident. It's as well put together as before but now has a more premium look and feel running through everything. The plastics used, particularly on the dash, are nicer to touch and there's a new steering wheel design which has a better quality feel. Refinement has been improved too with better sound insulation from the engine while at motorway speeds there's little wind or road noise. These improvements haven't come at the expense of practicality though with plenty of features designed to make life with the Octavia easier. Skoda calls them 'simply clever' solutions and they include genuinely useful features like an ice scraper that slots inside the fuel filler flap and an optional double-sided boot floor that's carpet on one side and has a water and dirt repellent surface on the other. 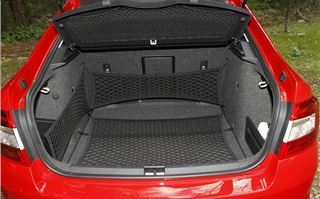 Elsewhere you can fold the rear seats down with just one button while the large front door pockets can hold a 1.5-litre bottle. The only minor criticism is the lack of storage on the central console with just two shallow cupholders next to the handbrake. So far so good then, but what's it like to drive? Well it's based on the same platform as the new Volkswagen Golf, Audi A3 and SEAT Leon – all of which are impressive – so it promises much. It's more than 100kg lighter than the outgoing Octavia which means better economy and improved handling too. It's not quite as sharp as its three counterparts but it still handles well and is easy to drive. There's not too much to get excited about but the Octavia does what it's designed to do and does it well. It's comfortable, rides well and feels refined. The steering is reasonably well weighted and responsive enough while there's good body control in bends so those sat in the back won't get thrown about on twisty roads. Unfortunately there's no XDS system like the Golf (this allows the wheels to turn at different speeds and can slightly brake an inside wheel in a corner while sending more power to the outside wheel) but it's likely to figure on the vRS. Both the five and six-speed manual gearboxes have a nice smooth yet positive shift and it's just as happy pottering around town as it is on the motorway. 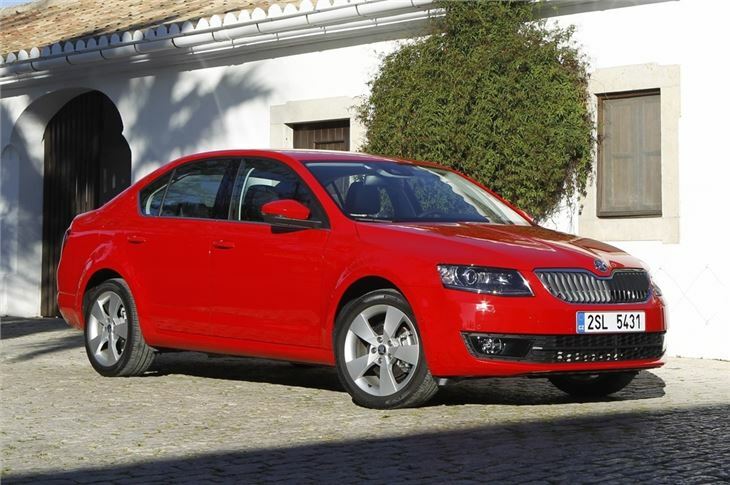 Overall it's a very accomplished and fuss-free car - it's exactly what an Octavia should be. The engine line-up features the familiar Volkswagen family units. 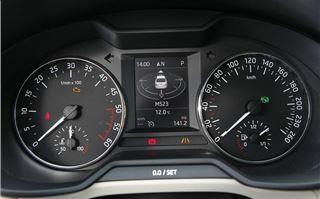 The entry-level model is the 1.2 TSI which may sound too small for a car the size of the Octavia but thanks to a turbocharger it produces 105PS with a decent 175Nm of torque. It's ideal if you're going to spend the majority of your time in town and the four-cylinder engine has plenty of get up and go from a standstill while claimed economy is 57.7mpg. 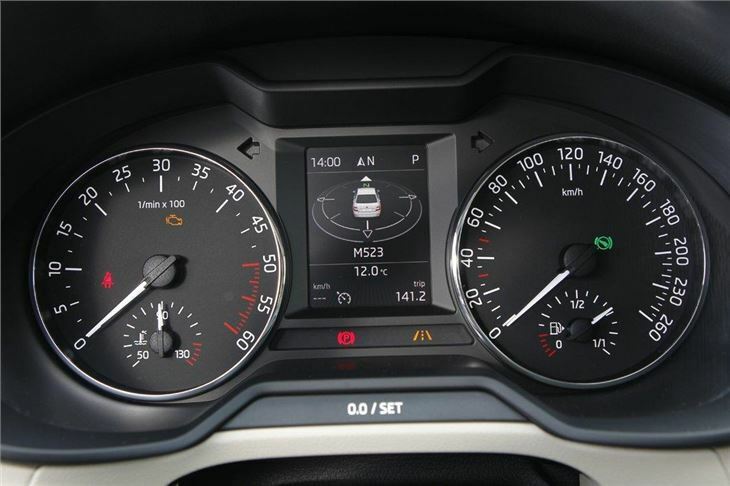 The other petrol is the 1.4 TSI with 140PS. In the Audi A1 this engine comes with cylinder on demand technology but that's not available in the Octavia, for now at least. 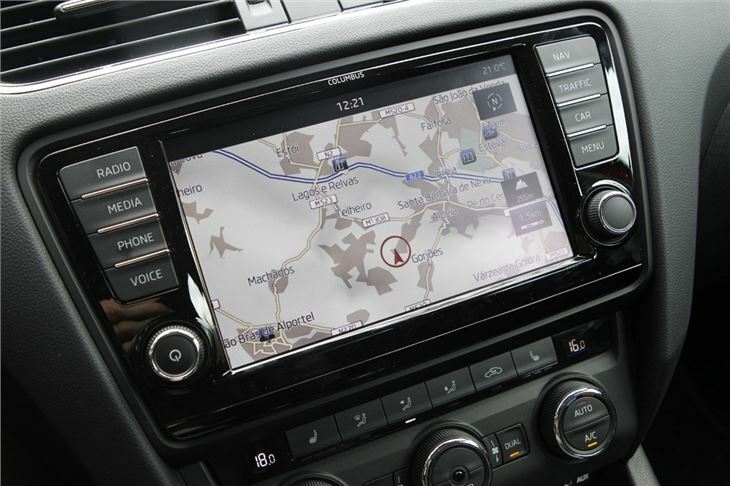 Like the 1.2 TSI this comes with a six-speed manual gearbox as standard or a seven-speed DSG automatic which will be available from May. The 1.4-litre engine is good fun to drive but it's the diesels that really stand out in the Octavia, particularly the 1.6 TDI. The common rail TDI engine is a little noisy on start up but soon quietens down once you're on the move and with 250Nm of torque available from just 1500rpm it pulls strongly and smoothly even from low revs. 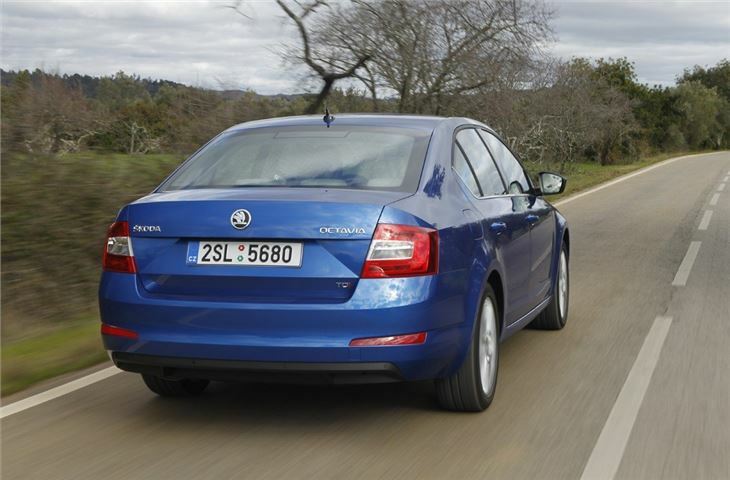 Its relaxed nature suits the Octavia perfectly and it offers good enough performance for everyday driving. Its real strong point though is economy – the claimed figures say 74.3mpg while emissions of 99g/km mean zero annual VED and exemption from the London congestion charge. The Octavia Greenline, which will be launched later in 2013, uses the same engine, but thanks to all the efficiency changes emits 89g/km with an official economy figure of 83mpg. 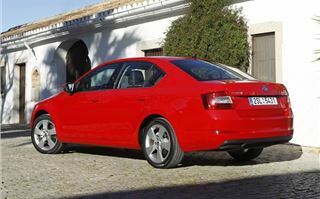 However, the standard 1.6 TDI is already so economical it seems pointless going for the Greenline model. The only downside to the smaller of the two TDI engines is that it comes with a five-speed gearbox, but the ratios are well spaced to allow you to make the most of the low down power. 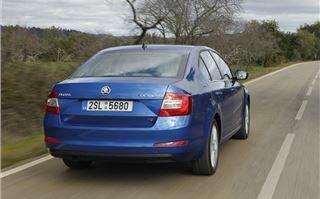 The top model for now is the 2.0 TDI with 150PS. It's an outstanding engine that's quiet, smooth yet strong with great in-gear performance. Economy is good too with a claimed 68.2mpg – remarkable given its real world performance. It's less convincing with the optional six-speed DSG gearbox so unless you desperately want an automatic we'd suggest sticking with the standard manual. The vRS version will be launched this summer (along with the estate) and will be available with either a 184PS version of the 2.0 TDI or a 2.0 TSI petrol with more than the current 200PS. Petrol engined cars with more than 140PS and TDI models with more than 150PS get a more sophisticated multi-link rear suspension rather than the torsion beam on lower powered cars. This means better handling in corners and a firmer ride but it's still supple. The Octavia has always been good value for money and that continues. 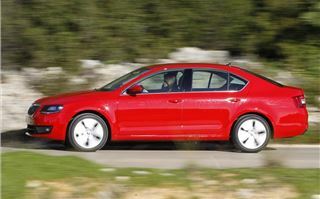 Prices start at £15,990 for the 1.2 TSI S model while the cheapest diesel is the 1.6 TDI S at £18,040. True that's more expensive than the outgoing Octavia and on a par with the Ford Focus range but standard equipment levels have vastly improved with an added £3500 worth of equipment on S models while top Elegance cars get an extra £5300 worth of kit. 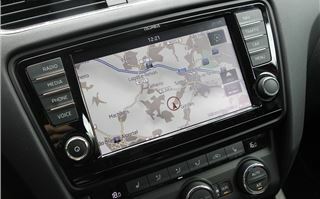 All cars models now get alloy wheels, Bluetooth, DAB radio, a leather steering wheel, daytime running lights, hill hold, a touchcreen stereo system plus a USB port for connecting iPods. Safety has improved too with ESC on all models and seven airbags including rear side airbags and a driver's knee airbag. The Octavia has certainly moved slightly more upmarket with sharper styling and a better quality feel to the interior but the model hasn't lost sight of what made the first two generations so popular. 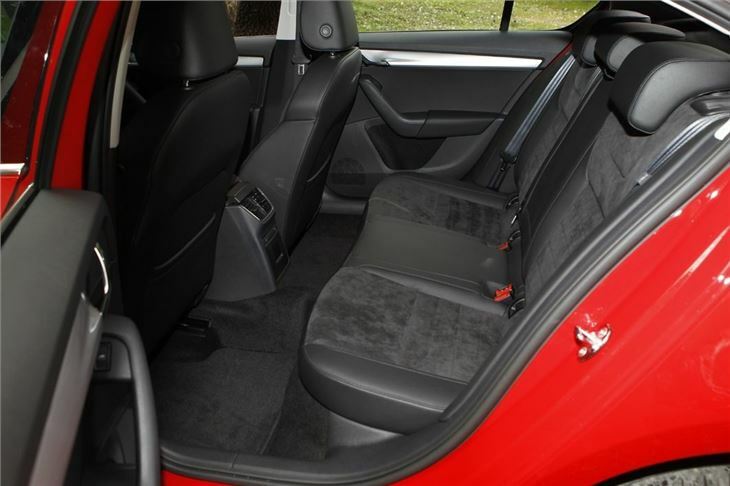 It's still practical, even more spacious and has a very impressive level of standard equipment. 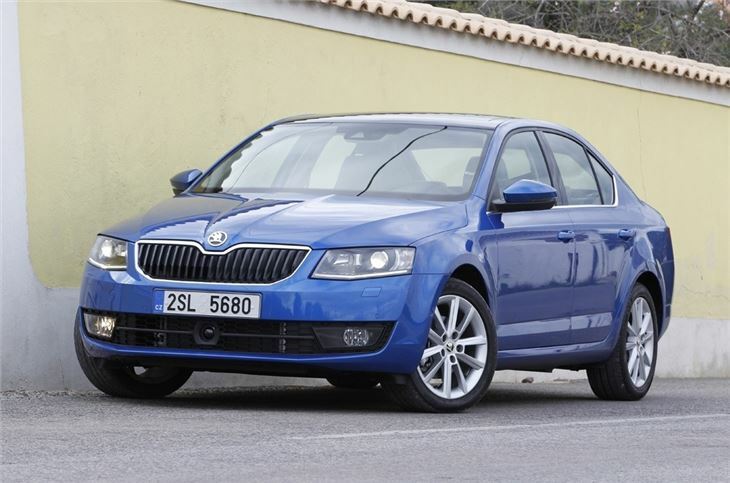 It's a lot of car for the money while the improvements to both refinement and comfort are the icing on the cake that mean the Octavia is spot on as a family hatchback. 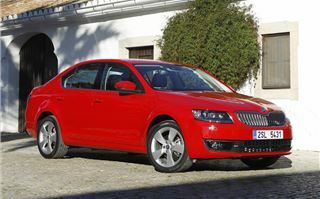 The new Octavia goes on sale here on the 16 March.